ZHONGSHAN, China — Top-ranked Japan defeated world No. 3 Republic of Korea, 4-1, in the final of the IX Asia U-12 Baseball Championship 2016 today, while No. 4 Chinese Taipei defeated host/No. 18 China, 4-0, to capture the bronze medal. The Finals and tournament highlights from the newly constructed 2,000-seat Panda Youth Baseball Stadium were featured across China’s online technology giants Le.com and NetEase, and generated over one million views across all online platforms. Claiming the top three positions in the youth continental championship, Japan, Korea and Chinese Taipei will represent Asia and compete For the Title of World Champion in the 12-nation WBSC U-12 Baseball World Cup® 2017 in Tainan, Taiwan (28 July – 7 August). 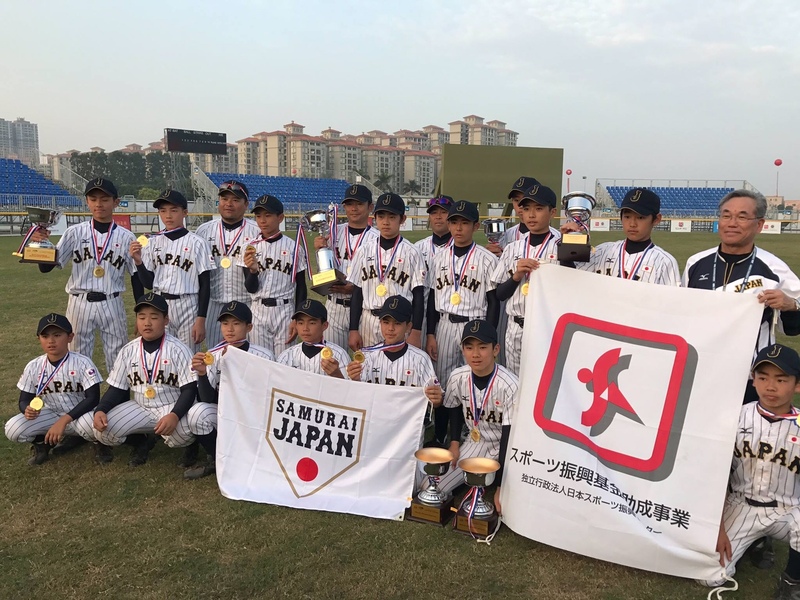 Japan went undefeated (5 wins, 0 losses) in Zhongshan, and the Asian crown is Japan’s historical first in the U-12 youth category. In the 5th/6th and 7th/8th Place games at Dongsheng Stadium, the lower-ranked nations succeeded, as No. 37 Philippines beat No. 25 Pakistan, 3-2, and No. 48 Indonesia surprised No. 26 Hong Kong, 6-5. As a qualifier for a Baseball World Cup, the National Teams in Zhongshan will earn Official WBSC Baseball World Ranking points for their countries. The 20-game Asia youth championship, organised by the China Baseball Association in conjunction with the Baseball Federation of Asia, was played across two venues and inaugurated Panda Stadium. In previously contested continental qualifiers around the globe in 2016, Germany and the Czech Republic advanced out of Europe, while Mexico, United States, Nicaragua and Brazil earned the right to represent the Americas in the U-12 Baseball World Cup. With 9 of the 12 nations qualified, three representatives -- Africa (1), Oceania (1) Wild Card (1) -- are still to be determined.